Skansen is as Swedish as it gets! Host your conference in a unique setting with unique activities. Welcome to a genuin Skåne-experience with fantastic golf course in the heart of Skåne! Elite Stora Hotellet is beautifully situated in the middle of Örebro by Svartån and Örebro Castle. An affordable conference hotel nearby road E6. Elite Hotel Carolina Tower, in the new neighborhood Hagastaden, offers you a total experience as hotel or conference guest. Hässelby Slott - a castle for both business and leisure. At Elite Hotel Savoy you meet and lodge centrally in a classic and intimate environment. Örebro Konserthus. A modernly equipped consert house for all kind of events. Malmö Konferenscenter offers complete conference packages. Ronnums Herrgård - in a natural setting by the south end of Vänern, between Trollhättan and Vänersborg. Modern, relaxed hotel with spacious comfortable rooms, centrally placed in Stockholm. A hotel for you! Personal approach around a charismatic castle. Easily accessed with own underground station. Easy access in Solna Business Park. Creative meetings or spectacular events in a traditional setting. With Stockholm and Gothenburg at equal distance with opportunity to have the whole venue to yourself. Sky offers meeting and conference facilities for up to 120 delegates with the best view in Linköping. Skytteholm - by the shores of Malaren. The best spa experience on Stureplan. Free entry to the spa included (worth 595 SEK/pers). Hotell Högland dares to be compared. Four-star hotel with excellent location with a lot to offer. One of the largest and most modern venues for congresses, conferences, concerts and fairs in Sweden. Gammelgården - a beauty in the Swedish mountains. Brand new stylish hotel in the heart of Uppsala. Meeting center in Kalmar, close to the city center and hotels. Magnificent view over the Baltic, close to Visby ringmur. Näsby Slott - charisma and elegance! A meeting place in lush castle setting with everything near-by! Fascinating building with historic atmosphere in Vasastan, central Stockholm. Beautiful Swedish mountains! Relax, pool and gym in the middle of the ski slope, close to the village! In the City of Stockholm with 558 rooms, conference rooms holding up to 700 people, spa and restaurant. Wellknown venues - high quality experience! Host your conference in a unique and stunning setting close to Stureplan overlooking Humlegården. 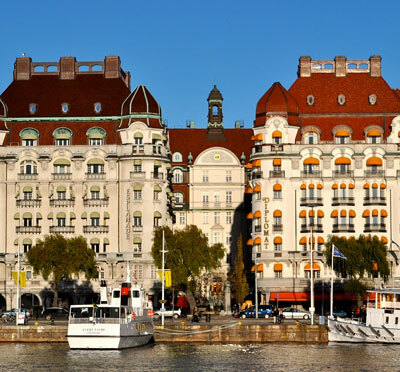 At Elite Hotel Stockholm Plaza, your conference takes place in a solemn setting in central Stockholm. Naringslivets Hus for your city conference. Elite Park Hotel - a modern hotel in light Nordic style located centrally in Växjö. Radisson Blu Hotel Berlin - Centrally located elegant spa hotel with 15 top modern meeting rooms. Conference Hotel close to Arlanda, suitable also for slim budgets. Stallet in Taxinge - a large venue for any purpose. Suited for conference, fairs and party. Hotel Palace Tallinn - In the heart of the Estonian capital city. A glamorous and classic hotel from 30’s. Conference by a stunning Siljan in classic style of Dalarna! Welcome to our accomplished venue with hotel, conference premises and restaurant. Carlshälls Gård is a rural idyll from the early 1800s. Acclaimed newly refurbished conference facility with creative meeting formats and good communications. Day conference venue centrally located in south Stockholm with excellent transport communications. 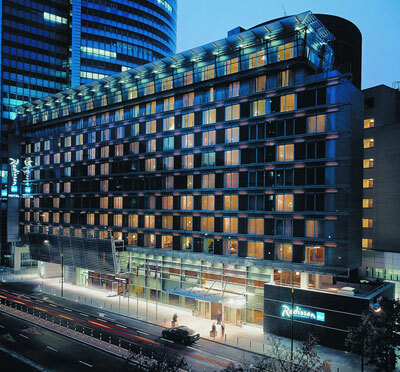 Sofitel Warsaw Victoria Hotel - Elegant hotel in the heart of Warsawa for up to 700 conference guests. Welcome to Waxholms Hotell. A place where the Stockholm archipelgo mingles with a small city. Inspiration and relaxation in a stunning atmosphere greatly characterised by Dalarna! Scandic Lilleström, 20 km Northeast of Oslo with a meeting room for up to 160 people. Lovik is attractively set by the water on Lidingö with good food, suited facilities and dedicated staff. Clarion Hotel Helsinki Airport - At the airport, 12 conference rooms, 330 hotel rooms. A mere stone's throw from Stureplan you find the light and stunning facilities of Finlandshuset. Conference venue in historical setting near central Stockholm. Hotel D’Anglaterre - 5-star hotel. It's restaurant has won Michelin-stars. Meetingroom for max 300 pax. Skelleftea Stadshotell - a modern conference hotell in Skelleftea. Radisson Blu Hotel, Oslo Alna - Only 9 km from Oslo. Conference capacity for up to 1200 delegates. Subtopia, in Botkyrka, south of Stockholm. A venue with an area of 15,000 sqm for a diversity of events. Renaissance Warsaw Airport Hotel, just in front of the Chopin Airport with 14 meeting rooms. Thon Hotel Ullevaal Stadion for up to 800 conference guests. Crowne Plaza Berlin City Centre - A modern hotel with 13 meeting rooms, 423 meeting rooms and 11 suites. 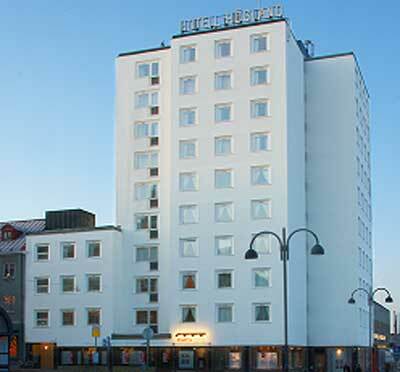 Clarion Hotel Stavanger, Norway, is a city center hotel with conference capacity for up to 600 people. Sokos Hotel Presidentti - Central Helsinki, Finland with 15 meeting rooms for between 10-370 people. X Meeting Point Norway and Moxy Oslo X - Very modern and innovative meeting venue and hotel. Welcome to place your conference on one of the most beautiful islands of the Stockholm archipelago! A design hotel in central Stockholm in the midst of the shopping and business district. Thon Hotel Opera in central Oslo with 18 conference rooms, restaurant, bar, gym and much more. The Kings Court Hotel Prague - Luxury accommodation in the heart of the city. Ballroom for up to 150 people. 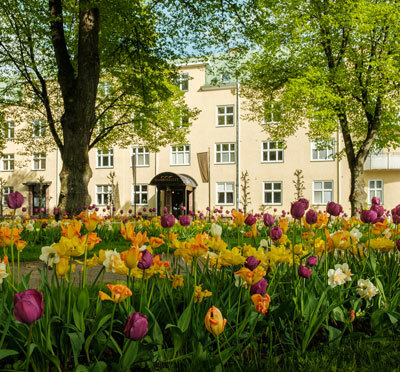 Älvkarleby Turist & Konferenshotell - Welcome to Sweden's North side most beautiful place! A paradise for both shipmates and landlubbers. Central location up on the heights of southern Stockholm overlooking the entire city. Seurahuone Helsinki - An elegant hotel with six meeting rooms. The largest for up to 100 people. Conferences and events during the day and evenings by the dock in the heart of Stockholm. Hotel St. George in Helsinki, Finland, is a luxury hotel with conference area for smaller meetings. Sofitel Wroclaw Old Town - A 5 star hotel in the heart of the Polish city of Wroclaw. 15 meeting rooms. Holiday Inn Warsaw City Centre in central Warsaw, 7 km from the airport. Conference for 60 participants. Light, fresh and intimately decorated meeting facilities for 2 - 50 delegates across Arlanda Express. 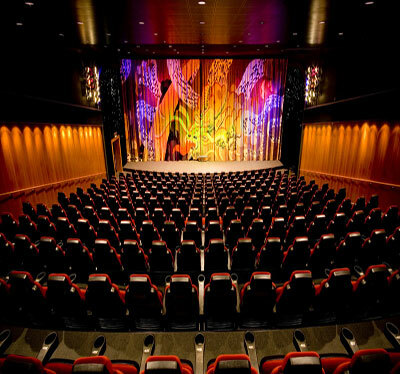 17 facilities: one auditorium & 6 Hilton meeting rooms, dedicated staff and first-class equipment. Thon Hotel Arena in Lillestrøm, only 12 min. from Oslo city. 15 conference rooms for up to 1000 people. Meeting and conference rooms for between 2 to 2000 guests in Centralt Stockholm! 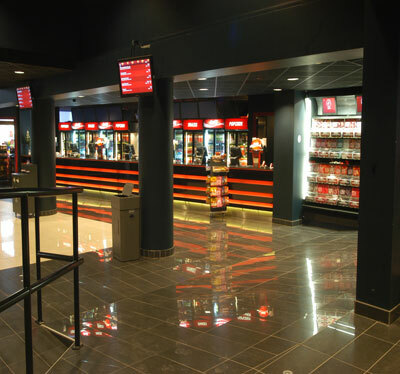 Filmstaden Sergel with ten saloons for cobnfeernces and meetings. Grand Hotel - Oslo's most known, prestigious and luxury hotel. Favorite among Nobel Peace Prize winners. Nötesjö Wärdshus offers harmonious conferences and meetings in the expansive Öresund region. The most vibrant meeting venue in Uppsala! 23 facilities for 2-150 people in newly renovated facilities. Copenhagen Strand Hotel along Copenhagen’s harbour promenade. Elegant meeting room for eight guests. Modern, pleasant and homely facility with personalised service and staff. Close to nature and sea. Hotel Rival is an intimate boutique hotel and a vibrant meeting place. Elite Hotel Arcadia - a central, newly refurbished four-star hotel bordering Östermalm/Vasastan. Kungstornen Konferens offers friendly service in inspiring facilities mid-way up Kungsgatan. Welcome! 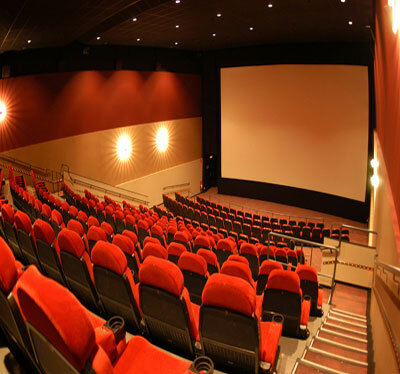 Cinema with theater unit for up to 325 persons. Traditional Badhotellet has a peaceful ambience with consideration & flexibility for a successful meeting. Mercure Wroclaw Centrum in Polish business city Wroclaw. 11 km from the airport. 15 meeting rooms. Hotel Kämp - Elegance in the heart of Helsinki! Luxury interiors, spaceful hotel and conference rooms. Thon Hotel Vika Atrium in central Oslo with 18 conference rooms, the largest for 250 delegates. Radisson Collection Hotel, Royal Copenhagen - A design hotel with conference capacity for 300 people. Different, inspiring, creative, cozy atmosphere to meet at Kungsholmen. Intimate, personal meetings for between 2-40 delegates. Situated in Vasastan. Radisson Blu Scandinavia Hotel in Oslo city with view over Oslofjorden. Conference and other meetings in the heart of Stockholm. Sheraton Stockholm is a five-star hotel in the middle of central Stockholm. 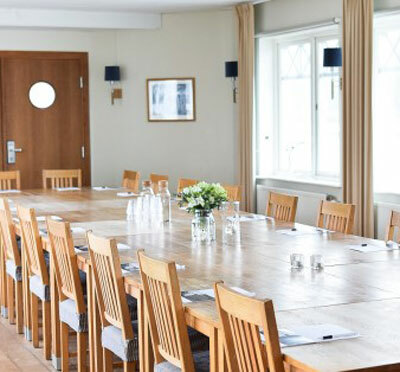 Sjöfartshuset offers conference facilities in a 17th century building with stunning view.